It seems today that everything requires sign up, a loyalty card for coffee to paying your car tax online, we constantly need to create user names and passwords. Aside from the age of information overload, we now need databanks in our heads to store and retain all of these unique passwords, or just use one password for everything. The latter approach is bad, real bad and means, if that password is compromised, everything is accessible. You can read more about creating passwords here. So what can we do? There are many applications out there but one of the best by far is LastPass. A clever bit of software that will store and populate all of your login credentials, sort and be a really useful brain expansion. When using LastPass you only ever have to remember one strong password. Once setup LastPass can generate secure and complex passwords for your different account and store them. All you have to do is log in to the LastPass extension in your browser and launch the site and hey presto LastPass takes care of the rest. LastPass make a security promise and use the latest encryption methods to secure your information. With LastPass the only person who can access your passwords is you. Your data is encrypted and decrypted at the device level. Data stored in your vault is kept secret, even from LastPass. Your master password, and the keys used to encrypt and decrypt data are never sent to LastPass’ servers and are never accessible by LastPass. LastPass also can allow you to setup multiple layers of security for your account. For example, Two-factor authentication (sometimes referred to as multifactor or 2FA) adds extra security to your LastPass account, requiring you to undertake a second login step before authorizing access to your password vault. This Login step can be a Mobile phone app or email notification. 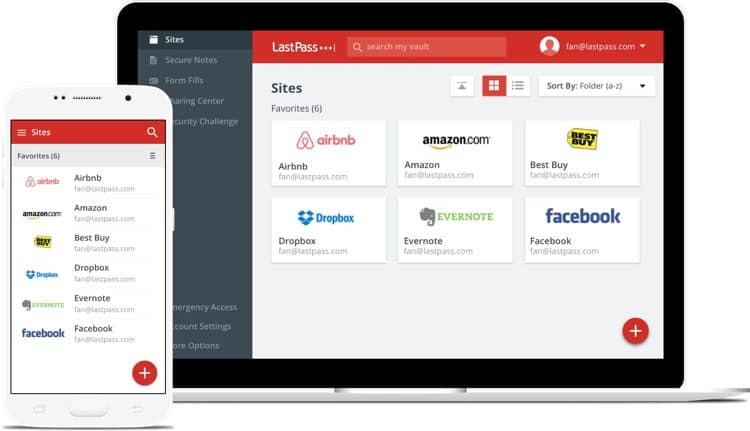 Whilst there are different options available to people, LastPass seems to be one of the shining lights within the industry. The only advice is don’t forget your LastPass Password.